We do have street parking as well as multiple public lots just a short walk away. Montrio Bistro is committed to ensure that we exceed the expectations of every guest that comes through our doors. 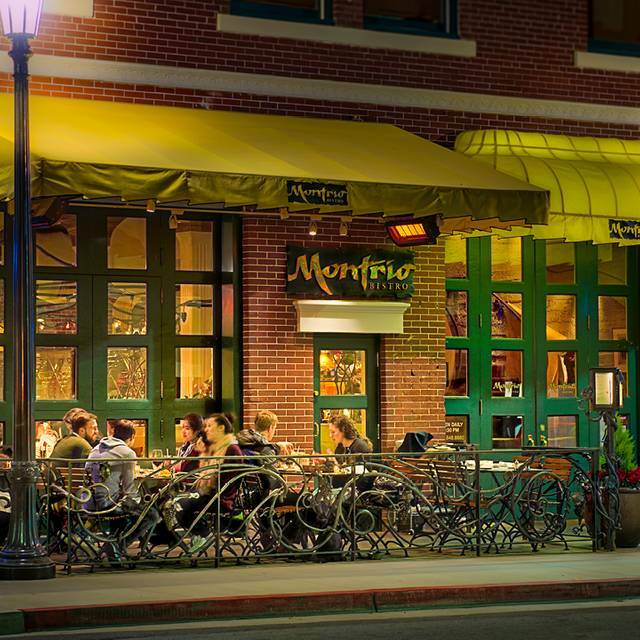 With over 20 years in the business and a great team of chefs and wait staff, you can be sure that Montrio Bistro is the right spot for your next event. 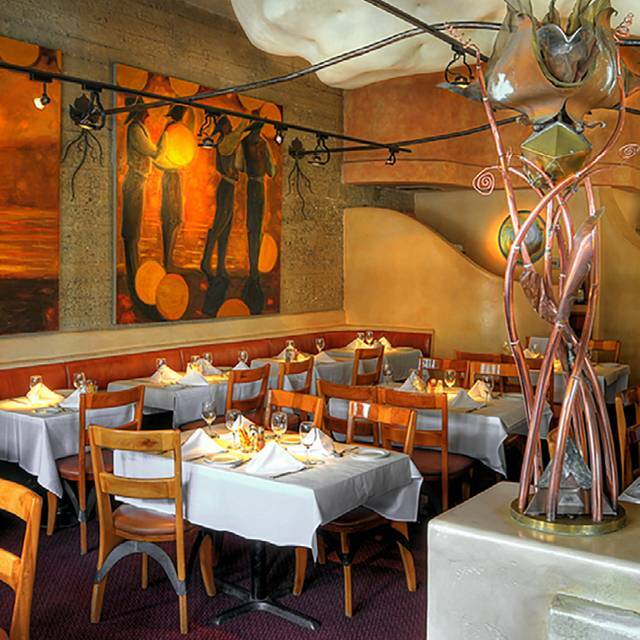 Located in the heart of downtown Monterey, Montrio Bistro offers a comfortable yet classic dining experience, featuring fine European inspired-American cuisine. For the past 15 years, Chef Baker’s resolve to showcase sustainable seafood, fine quality meat, and Monterey County’s best produce in all of his dishes has made this renovated 1910 firehouse a local favorite. We feature a variety of appetizers, award-winning small bites, enticing entrees, and indulgent seasonal desserts made by our in house pastry chef. Choose from Christian Adam's extensive wine list, or try one of our signature cocktails by Anthony Vitacca. 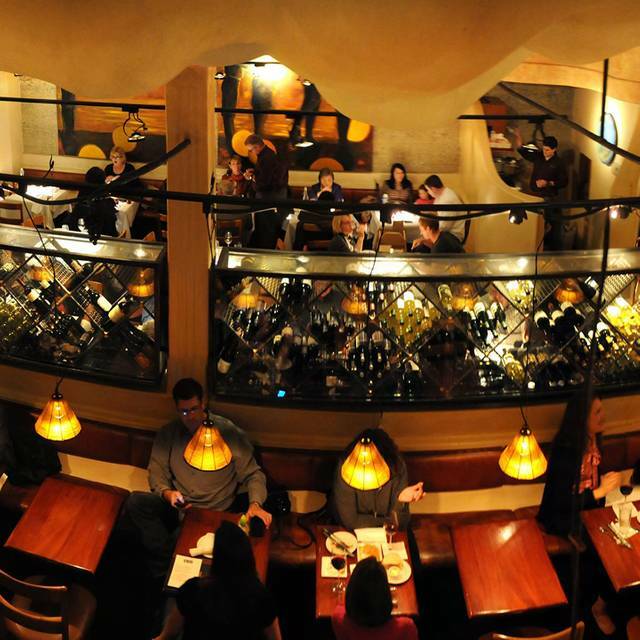 Montrio’s sophisticated, yet comfortable atmosphere attracts locals and passerbys alike with our great Happy Hour, and Sunday's Half-Priced Wine Night. Come see what everyone is talking about! 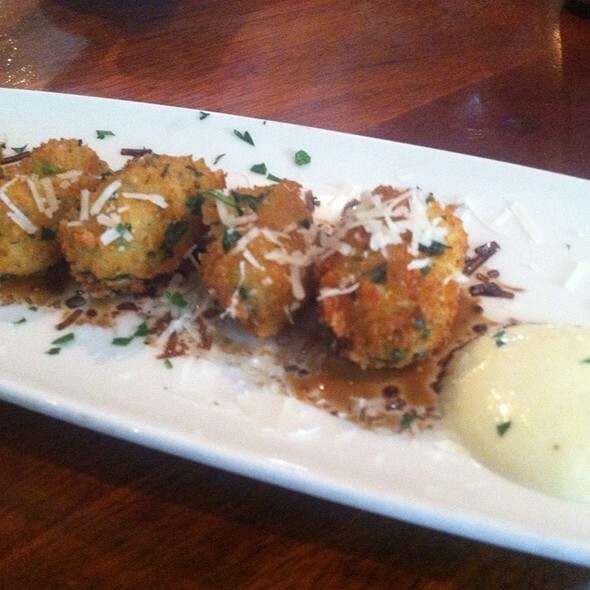 We love Montrio, and go there for almost any occasion we deem special. Always meets expectation. Had a beautiful meal! Great menu, fantastic service and a wonderful atmosphere. Will definitely go back to Monterey just to go to this restaurant! Outstanding as usual! That's why I recommend Montrio Bistro to my hotel guests because I trust that the food and service will contribute towards their memorable holiday. And if not perfect, they'll make it right. And for any customer, it doesn't get better than that! This time was a celebration for my family that was visiting from out of town. My teenage grandsons are used to junk food but for their last night I wanted to introduce them to"real" food. They finished their plates and proclaimed, without prompting, that this was best food ever and they could taste the difference!! So even for my own family, it doesn't get any better than that! So my heartfelt thanks to all at MB and especially Jose whose skills and attentive service will always be remembered. Very enjoyable meal! Lots of different flavorful dishes. A bit too tight and noisy however. Food is amazing! Especially the Bacons! The food was incredible. We were thrilled with the nuanced flavors. Great experience, food was amazing! Victoria our waitress was outstanding! Thanks to the Manager, Kathy, and our waiter, Scott, we had the BEST service....which was such a treat!!! We head down to Carmel several times a year and usually make a point to eat here...food NEVER disappoints!!! Thanks for a great evening!!! Food was delicious. We were sat upstairs which was perfect if you would like a quieter dining experience, but we wanted the hustle and bustle of a restaurant on a Saturday night. It would have been better if the hostess had asked our preference in seating. We ordered smaller plates since none of the entrees intrigued our palate. We asked the server to make sure our smaller plates came out in courses since we had no entrees, he said he would, but that is not what happened. We had all four of our "courses" dropped on our table within 5 minutes of each other, so food became cold as we ate through the dishes. This was the only inattention to our meal, but an important one that was easily avoidable. Still had a good time there regardless. Great food and staff. Odd Rewards program rules. Service and food were great and it's in a good location in town. However the noise level is very high and we had to shout to hear each other, as did everyone else, so I would choose another place next time. Definitely take advantage of their amazing Happy Hour! We made it town early so we enjoyed a little time in the bar before being sat with Scott. We decided to share a series of items and took a few recommendations from Scott on both food and wine. Everything was amazingly delicious. We had to skip desert but plan to come back to give them a shot as they looked amazing. Service was top notch all night even though it was hopping the moment we arrived. Don’t miss the Brie, Poutine, or Salmon! They never disappoint! We bought more friends for their first visit and we all had memorable meals served by great staff. I wish the noise level was a bit less but it was a Friday night and I knew what we were in for. The food and cocktails were wonderful and we got out in perfect time for our concert tickets nearby. Awesome Happy Hour. 1/2 off wine by bottle on Sundays. Great service from Cassandra and the wine distributor. Everything we ordered was delectable. Thanks for a wonderful evening. They seated two other parties before us when I had reservations and let our original table be used and made a table for us last minute. They ran out of food on the menu and screwed up our drink order. The food was alright but nothing special. Wouldn’t go back. Amazing experience!! The food was absolutely splendid, the risotto was savored very slowly, and the oatmeal crusted Brie was practically inhaled it was so delicious. We loved the fun cocktails too. But overall the service was what really set this place apart. It was SO sweet to have them acknowledge my birthday in a few different ways, the little gestures really go a long way. All four of us would highly recommend Montrio Bistro. 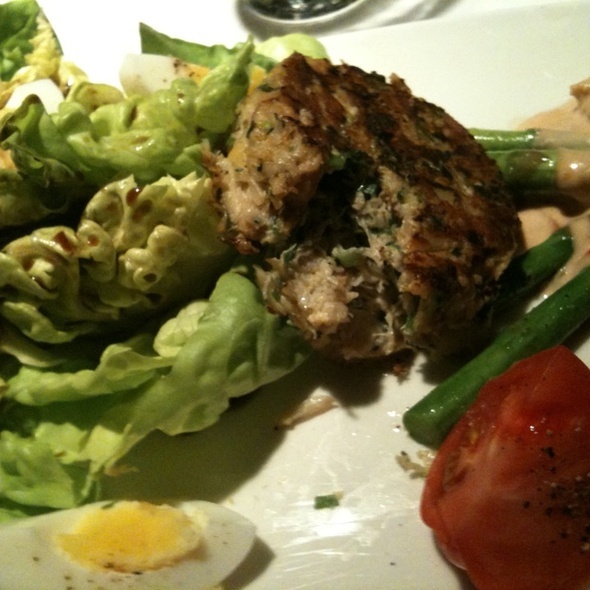 Our selections were varied but mostly seafood which was perfectly prepared with delicious and healthy accompaniments. Thomas, our server was off the charts and so knowledgeable about food and wine. He was very attentive and a lot of fun. Very accommodating. Both couples celebrating our anniversaries and they were just fabulous. Food and wine was excellent, but we felt like the service was rushed. The food came out within 5 minutes of us ordering. Excellent as always. The food and the service are wonderful. The entire evening was great. The food was great. The service was timely and friendly. Was able to get a table right away, we love Montrio, my husband always says they make the best steaks, and I agree! Our waiter whom we’ve had the past couple of times, is very friendly, remembers us which makes us feel good! It’s a great place, love it, love it! We loved this place. The poutine was especially amazing. Everything was delicious and well presented. We had an amazing anniversary dinner here. My fiancé has celiac, so can’t have gluten whatsoever and the waiter was very knowledgeable about what could and could not be made GF for her. The food was excellent from the mussels in curry sauce to my blackened cod with lentils. We will definitely be going back. Our waiter was very nice but it didn’t weight in when it came to the food. The food came fast and we felt rushed. Both our selection were ok. Nothing amazing nor out of this world. Don’t get me wrong it was good but not exceptional and wasn’t worth the price. The food is always outstanding with wonderful service and friendly staff. Service felt like we were inconveniencing our waitress, we read great things about this establishment on yelp and felt we got “yelped” in a bad way. Food was over confused, beautiful piece of King Salmon swimming in a pool of over powering sides that detracted from the meal. Too much wrong with everything for me to write. There are many better places in the area...use caution and don’t get “yelped” on this one. The most amazing food I've ever eaten. The braised short ribs are to die for. My wife and I went here for our Anniversary. I was drawn there by their an unique cocktail menu and was not disappointed. We started with the 48-hour bacon, which was melt-in-your mouth tender. For our main menu selections, we had the duck and the beef short-rib, both of which were excellent. We both look forward to coming here again. We stumbled upon this place after not wanting to wait for a terribly long time at a new sushi place around the corner. A quick Yelp! search helped us find Montrio and OpenTable made it very easy to see if we could make a reservation to get in with little to no wait. And what a delight! The restaurant had a nice vibe, cool art and spectacular food. I was going to have my standard single malt scotch (neat), but after hearing that the man behind the bar was voted top bartender in the area the last 10 years, I had to try a cocktail, and wasn’t disappointed. The food tasted fresh and was full of fantastically delectable flavors. 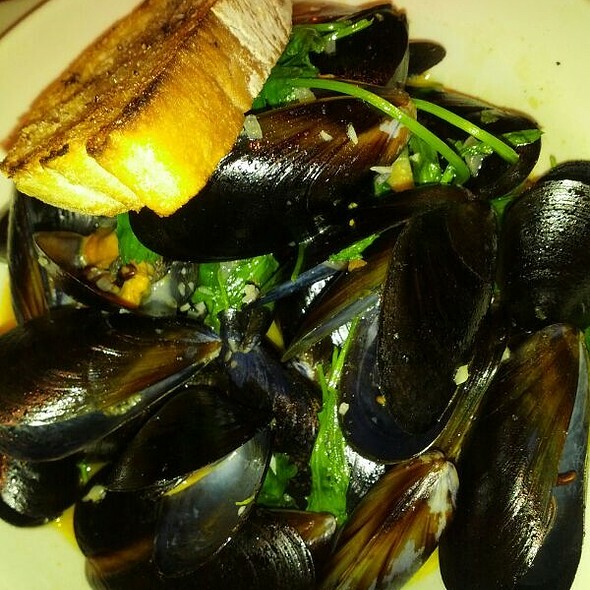 We were a little sad to not see oysters in the menu, so we went with the mussels instead, which was a surprisingly large portion - even for 2 people, but tasty nonetheless. We also shared an order of the 48 hour bacon which was so heavenly I dreamed of having it with eggs every morning for breakfast, acknowledging I would probably die of cardiac arrest within the month. For the main course we split a plate of the mushroom truffle ravioli, which was harmonized well with braised beef short ribs meat so tender and mouthwateringly good that it melts on your tongue. We capped off the night with the chocolate custard, whose mint ice cream side tasted freshly handmade. The hazelnut and chocolate cereal bits added fabulous texture to an already heavenly dessert. Overall we had a great experience. Everything we ate was an explosion of flavor! The food is delicious, the service is friendly and the place has a casually elegant vibe. We enjoyed it so much we would have gone again if we had more time in Monterey. The starters were fabulous. The sommelier was good and recommended an excellent Chardonnay matching our tastes and, amazingly, one of the cheaper on the list. Unfortunately this didn't carry through to the main course. The salad had lots of wilted/slimey bits. The tomato was tasteless. If you can't find good tomato, just leave it out. The dressing was too oily but that can just be our tastes. To their credit they took it off the bill. The salmon was correctly cooked and the balsamic roasted brussel sprout leaves were a very nice and tasty touch but the risotto it came on was beyond bland. Short story: good staff, some stand out flavors, but also enough errors to ruin it. Maybe a bad day?